• Preheat the oven to 250 F for 10 min. • Fry the bacon in a skillet without fat and reserve. • Spread the dough on parchment paper in a 9-inch pie plate, prick some holes with a fork. • Pre-cook the dough for 10 minutes. • In a bowl, mix evenly eggs and flour, then add the cream and milk. Season with salt, pepper and nutmeg. 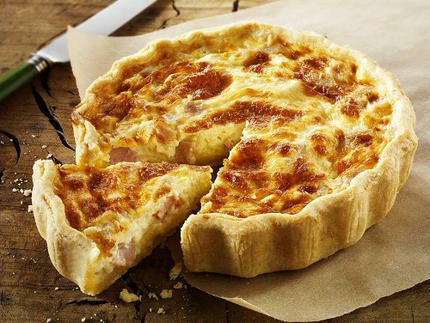 • On the precooked dough, spread the bacon and cheese and pour the contents of the bowl. • Set the oven to 410 F.
• Then bake for about 30 minutes. 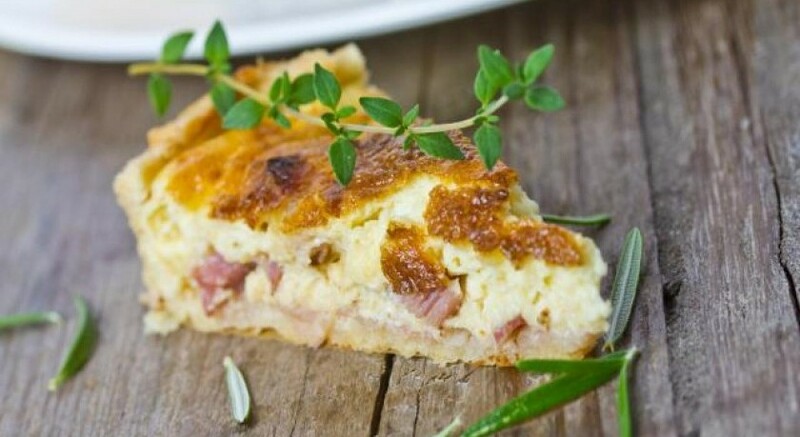 Come with us to Southern France on our tour and discover the French cuisine even more.